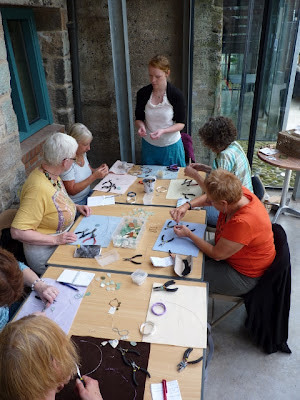 A few Saturdays ago I ran a workshop teaching a great group how to make jewellery with wire and sea glass; no drilling required. 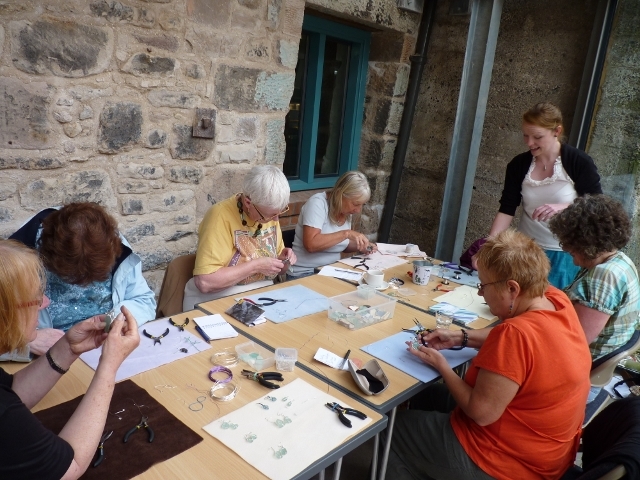 It was fun and each participant made a pair of earrings and a pendant using wire wrapping techniques. Thanks to Berwick Arts and Crafts Group for organising the festival and for some of these photos, I'm looking forward to seeing what's next from this new and exciting group! Didn't they do well? Were they complete beginners? You're very brave to do a class. I've been asked to teach before but I've always chickened out! You should try teaching some people you are comfortable with first and get a bit of confidence, am sure they would love it!